Step 5) Now, import CKeditor package from Node package manager using the following command. Step 6) Open the solution in Visual Studio Code by running the below code. Include the below import section along with the default ones. The below code is executed when the webpart is rendered which will incorporate the CKeditor with this webpart. Step 9) At this point, if we switch to PowerShell and run gulp serve. Step 12) Add the below code to GlobalAnnouncementWebpart.ts . Arrange the import section along with the existing code and replace the Render method. Step 13) Open IGlobalAnnouncementWebPartProps.ts file Interface Properties and replace the below content. 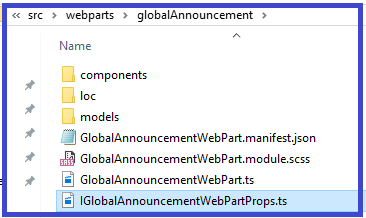 Remove the default Export Method of IGlobalAnnouncementWebPartProp from GlobalAnnouncementWebpart.ts file. Step 14) Open GlobalAnnouncementWebPart.manifest.json file and replace the following property (in Bold) with the existing one. Step 14) Save all files present inside solution, again, if we switch to PowerShell and run gulp serve. 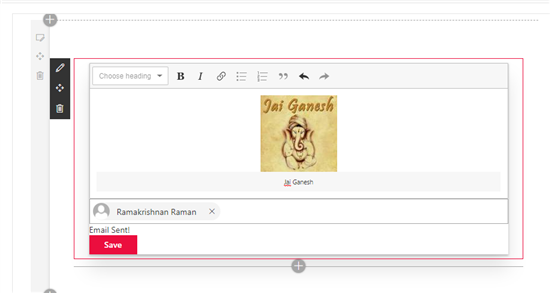 CKEditor5 along with OfficeUIFabric PeoplePicker is launched in local workbench. Step 15) Run the following command in Windows PowerShell. This will import all the necessary PnP JS package. Step 16) To terminate the current session of gulp serve, press ctrl+c . 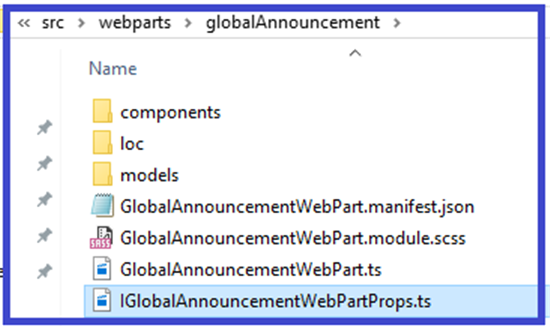 Step 17) Include the below code inside OfficeUiFabricPeoplePicker.tsx located under src > webparts > globalAnnouncement > component. (replace the _onChange method) which collects and export the Email IDs of the person resolved inside the people picker an array. Include the below code as a export constant in OfficeUiFabricPeoplePicker.tsx file. Step 18) Include the below code in GlobalAnnouncementWebpart.ts file which imports the Email ID array that is further utilized to send email using PnP JS. The code also collects the CKEditor content and pass it as the mail body. Step 20) Package\Publish the solution using the below command. This command creates sppkg file inside a new sharepoint folder. 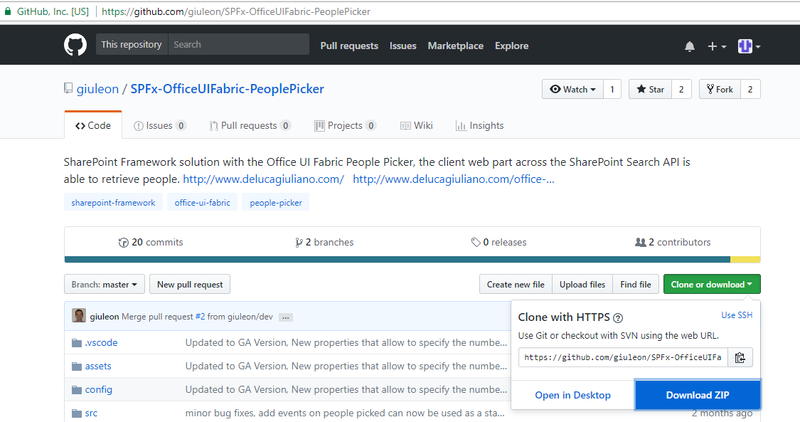 Step 21) Open AppCatalog site of your tenant or site collection and upload the sppkg file generated in our previous step to app for sharepoint list. Step 22) Trust the solution by clicking on Deploy button. 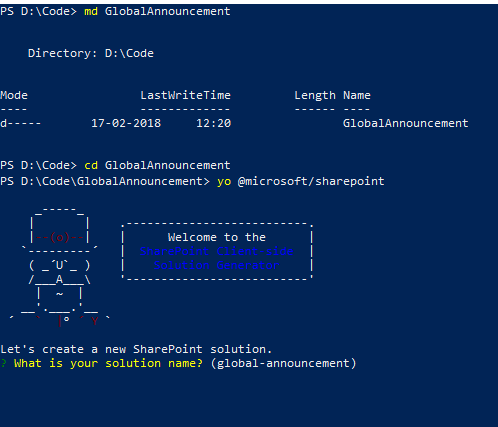 Step 23) Switch to PowerShell and Run gulp serve. 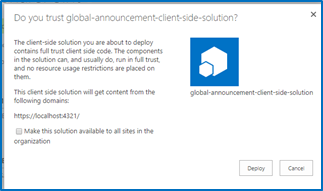 Option the Hosted Workbench by navigating to the URL "https://<<yourdomain>>.sharepoint.com/_layouts/workbench.aspx"
Step 24) Add the web part to hosted workbench page. 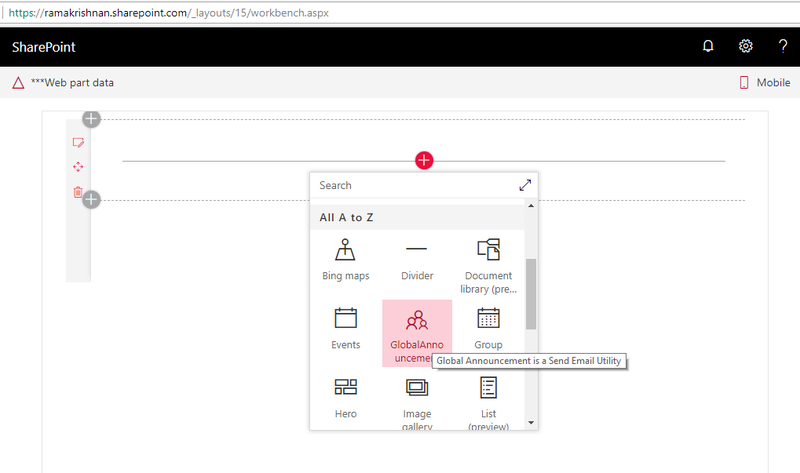 Step 25) Add some content inside the CKeditor 5 and specify members whom this email need to be sent inside the people picker. Click on Save\Send. Email with the specified image\content is received. 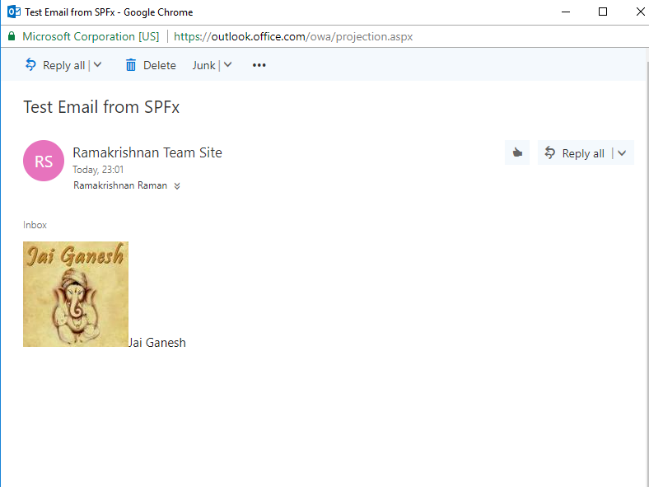 Hence, a small mission to send email using PnP JS, utilizing OfficeUIFabric People picker, customizing a mail content with a rich text editor have been achieved. Below are some of the useful links referred in this regard.